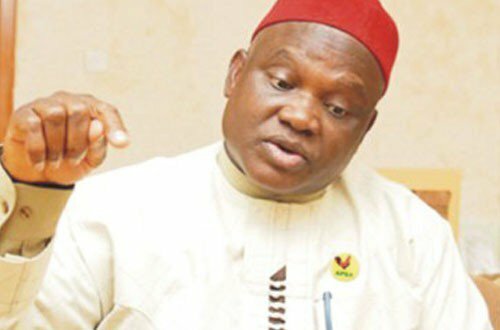 The national chairman of the United Progressives Party (UPP), Chekwas Okorie, has affirmed that President Muhammadu Buhari’s poor performance would lead to his defeat in 2019. The UPP chieftain believes that Buhari’s poor performances within the last three years would be used against him during the electioneering campaing. Speaking with newsmen over the weekend, the Igbo leader, also came hard on former President, Olusegun Obasanjo, over his recent statement, warning Buhari to bury his second time ambition. “The problem is that Buhari as a president has not performed well, but if for any reason, the APC fields him again as their candidate, then all that Obasanjo said would become a campaign issue and even those of us who are not in the party would use it against the APC. “In fact, I pray that the party presents Buhari as its presidential candidate because it would make campaigns very easy for us, and they would make it easy for the party to be easily defeated”, he said. Speaking on Obasanjo’s advice to Buhari against running for second term, Okorie said, “Obasanjo is delving into an area which is within the personal purview of President Buhari. To me, the advice comes across as though Obasanjo is being a busy body because it is not his business if Buhari chooses to run or not.